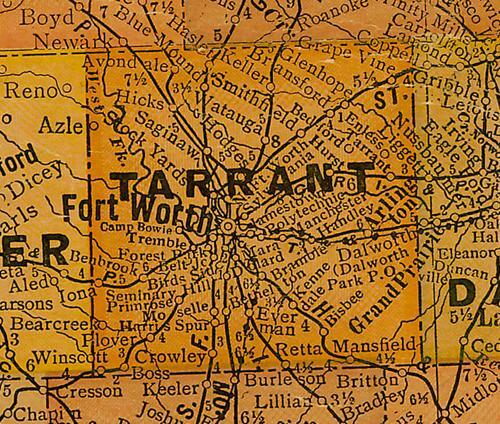 When the Fort Worth and Denver City Railway extended their line through the area in 1882, the railroad platted a town along the tracks and named it Avondale. Although it was on a railroad - things got off to a slow start. They had a post office as early as 1890, but by 1910 the population was a mere eighteen people. The school, however, had forty-six students who came from a wide area. The town wasn't bypassed by the railroad like many Texas towns, but the highway (Highway 81) bypassed it in 1920. The store and post office closed and even the depot closed in 1924. The town is now what is known as a sparsely populated rural community.